Tout simplement notre coup de coeur de cette fin d'année, si nous avions raté la sortie de son premier single, le second sorti chez Trouble In Mind nous a vite mis sur la piste de ce petit prodige de la Pop Baroque et Psych. 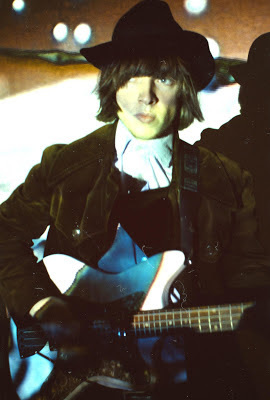 Jacco Gardner a des doigts d'or, ses deux singles sont absolument sublimes. Ici, nous croyons énormément à son avenir et c'est pour ça que nous voulions absolument l'interviewer ! 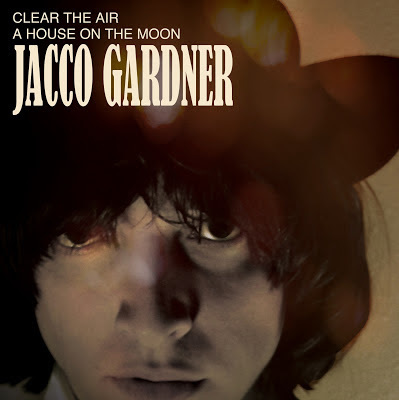 Easily, one of our crush of the year, we missed his first spanish-released single but since the release of his TiM second SP, we went crazy about Jacco Gardner. This is exactly the kind of music we love, Baroque & Psych Pop with a golden touch. A incredibly sensitive and smart music that go straight to heart and makes you want to listen to it during hours just laying down on your bed, the stereo going loud shrouding you in the sound. Hi Jacco, can you introduce your solo project ? Can you tell us how did you come into making Music and writing songs ? My family influenced me in this. I'm the youngest of two brothers and a sister, they had been playing instruments before me, so it seemed natural to start playing instruments as well. I started writing songs when I joined my first band when I was about 13 years old. What inspires you while writing songs ? While writing songs I get inspired by interesting chord structures that I'm trying out while playing an instrument. Sometimes playing some chords and trying out a melody can really set a mood which I will then try to work out more clearly. You are also part of a freakbeat duo called The Skywalkers, what made you want to go solo ? I was actually already doing things as a solo act before The Skywalkers but I had never released anything solo. The Skywalkers were the first project I started taking more seriously. After a while of playing with The Skywalkers I felt the urge to finish the songs I had written for my solo project and make an album, that's when I picked that up again. 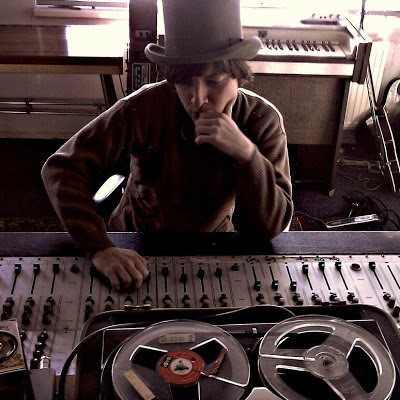 - Are you still making music with The Skywalkers or are you going to focus on Jacco Gardner at the moment ? For the moment I am more focused on my Solo Project and it feels like it will remain that way. The Skywalkers was a short lived project, a lot of fun, but there are not enough ambitions there. What is your creative process, how do you write songs ? Well like I said before, chord structures inspire me and I start trying out melodies and then write lyrics to them. Sometimes it starts just with lyrics though. Or I hear a chord structure in a song with a completely different context and I think it would work great with another feel and instrumentation. Then I might "steal" some chords here and there and turn it into something new. What's your secret to create this warm sixties sound ? Tape machines and tube preamps. I mix my music digitally, on my laptop, but surrounding that I am using a lot of analog gear to process the sound. Tape echo machines, tape machines, tube preamps, spring reverbs, things like that. Also it's a matter of what you want. I think I would be able to achieve a pretty warm sound by just using plugins in my computer as long as I hear the right sound in my head. I mostly work on a basic instrumentation like acoustic or electric guitar with drums and bass. Then I add layers of more unusual instruments like harpsichord, mellotron, optigan, organs, sometimes synths even. What's your live set ? are you by yourself ? I'm doing live shows now with a 4-piece band. Jos van Tol on drums, Keez Groenteman on guitars and Jasper Verhulst or Hugo van de Poel on bass. What are your biggest influences ? Here at Requiem Pour Un Twister are big fan of the nederbiet / psych scene in your country, acts like Q65, Boudewijn de Groot, Shocking Blue, Dragonfly... do these people had an influence on your music ? Anything to advice we should know ? Actually the guy who recorded Q65, Golden Earrings, Dragonfly etc is a great friend of mine called Jan Audier. He also did part of the mastering process on all my recordings. I wrote my graduation paper on the recording techniques used on those bands in the Nederbiet scene where I met him. There are some great compilations out there with Nederbiet bands on it like "Waterpipes & Dykes" and a lot more, really worth checking out to discover some of the more unknown bands of that scene. One band I really enjoy that you might not know is "The Mega's" from Rotterdam. Tell me about about Dutch garage / psych / beat music scene nowadays ? Again, tell us if we had to listen some things we may don't know ! Nowadays there is nothing interesting happening in the dutch garage/psych scene. Not that I know of anyway, maybe I've missed something of course. Have you ever think about singing in Dutch ? This was never an option. English has always felt so natural to me that I've never really considered singing in Dutch. I also really prefer the sound of English so I don't think singing in Dutch will ever happen for me. How did you get in contact with the amazing label Trouble In Mind ? They found me after I released my first 45 on the Spanish Action Weekend Records called "Clear The Air". I did some promotion for that single and it got shared by many people including The Horrors which helped a lot. I think that little bit of promotion made it more easy for Trouble In Mind to find my music. You released two singles this year, what's next for you ? any album in the making ? Yes, I'm currently adding the finishing touches to a full-lenght. This will be released on two labels including Trouble In Mind around January/February 2013, more information on this very soon! Also the live shows are getting more and more and we're planning a tour in the US next spring.. Thanks you so much for your time ! Le fabuleux premier single de Jacco Gardner est de nouveau disponible chez Sunny Day Records / Action Weekend Records (avec un nouvel artwork). On en a trouvé aussi quelques copies chez notre vendeur préféré Pop Culture à Paris. Allez-y c'est vraiment grand. Quant au second, c'est sorti chez Trouble In Mind et c'est donc "disponible" (s'il en reste) chez tous les gens qui reçoivent le label.